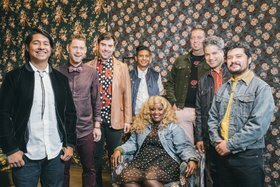 Following their compelling late-night TV debut on Letterman in 2015, the electrifying eight-piece wonder-band The Suffers instantly hit home with their audiences. Exploding onto the scene with their dazzling EP Make Some Room and their critically heralded self-titled debut in 2016, the 2018 release Everything Here proves to be the band’s most bold statement yet. 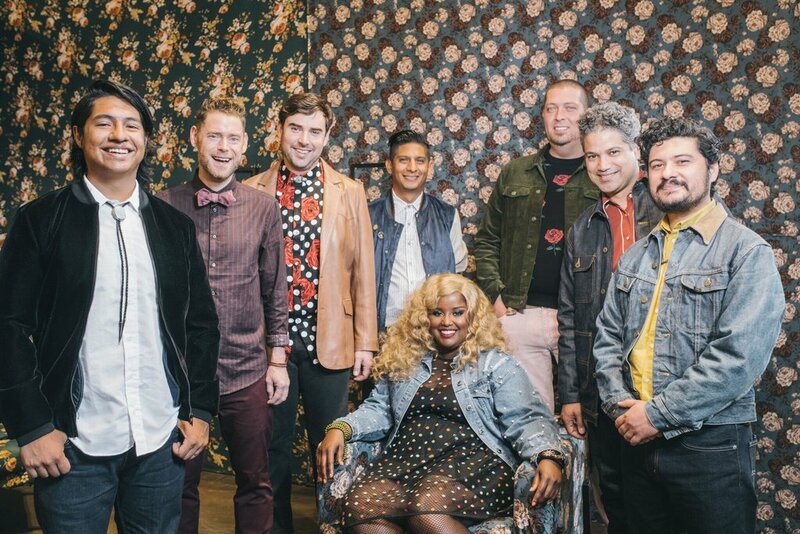 Hailing from Houston, Texas, The Suffers have got everything you need and there's no need to look further - a dash of reggae, splash of jazz, pinch of salsa, hint of rock 'n' roll and a dollop of hip hop and funk - and more simmering inside their magical Gulf Coast soul. This thrilling ensemble is led by the relentlessly soulful Kam Franklin, the singer-songwriter, activist and writer whose vocal range and passion make her shine as an undeniable force.